The Pickleball Kelowna Club Youth Group plays at the Parkinson Recreation Centre outdoor pickleball courts. The Youth Group Summer Season Program officially runs from the end of June until the beginning of September. The PKC Youth Group will share courts with Mondays 5:30pm-7:30pm, Thursdays 5:30pm-7:30pm and Sundays 2:00pm-4:00pm. 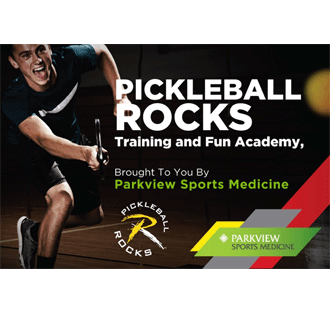 PKC has scheduled a Pickleball Ball Machine Court to be shared by all Players at each of the scheduled times. The fee to join this Youth Group Summer Season Program is $10 per youth. A registration/waiver form must be signed by a parent or guardian. All players that are 11 and under, must be accompanied by a parent or guardian on the courts. All players that are 12 and 13 must be accompanied by a parent or guardian that stays at the courts during play time. All youth players 16 years and younger are all welcome to join the club as a full club member, the youth fee is $40 each. All Youth Players 16 years and under - Registration can be completed online.